Surpassed a long time goal of mine. 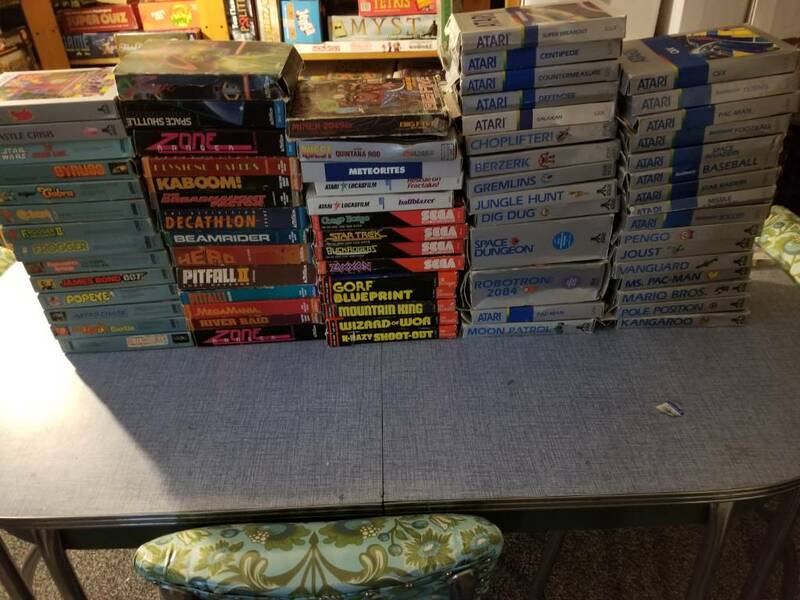 I finally reached 600 NES games. I cant believe I finally hit the milestone. Here is my collection of Atari 5200 games. No Bounty Bob Strikes Back but everything else is there. Its been a long time coming. Required lots of patience and almost daily internet searches for copies to pop up. That's so cool man! Never seen that big Robotron 2084 box. That's pretty sweet. Congrats, Fokakis79! The 5200 is a bit of a forlorn system, because of all the hardware issues, and because I don't think it sold very well. I'm guessing it's a bit of a bear to collect for. Thanks ya'll! Pretty proud of this achievement. @Metalfro: A lot of them are cheap and easy to pick up for the most part. I would say there 10-15 games that were challenging. It was even more challenging as I was going for the games in boxes. The last 5 or 6 took me about two years to find and pick up. The only hardware issue is the controllers really. I bought a WICO command control for the Atari 5200 which solved all of my problems. Its a pretty fun system to collect for. Only has about 70 games. Plus there are some great homebrews that I want to pick up eventually. I misread your first milestone as "Just GASSED 30 SNES game." "The King of Hyrule," huh? More like "der Fuehrer of the Third Hylian Reich," amirite? Just surpassed needing under 100 Sega CD games.